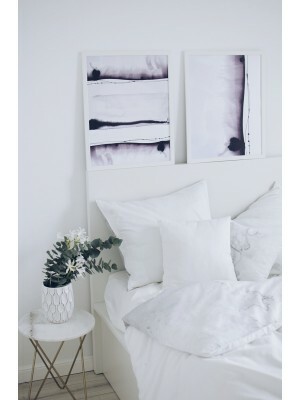 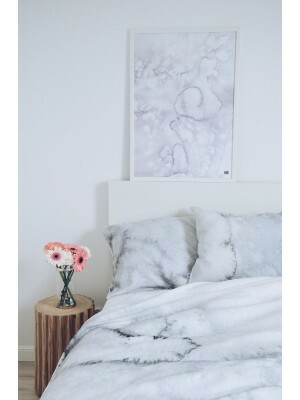 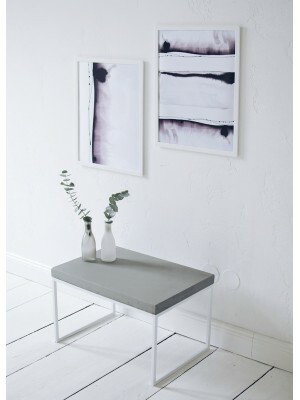 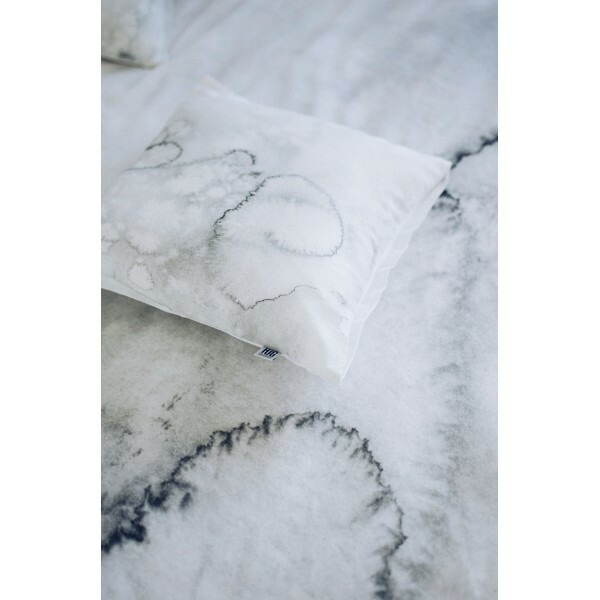 A pillow in watercolor stains will appeal to interior lovers in scandinavian and minimalist style. 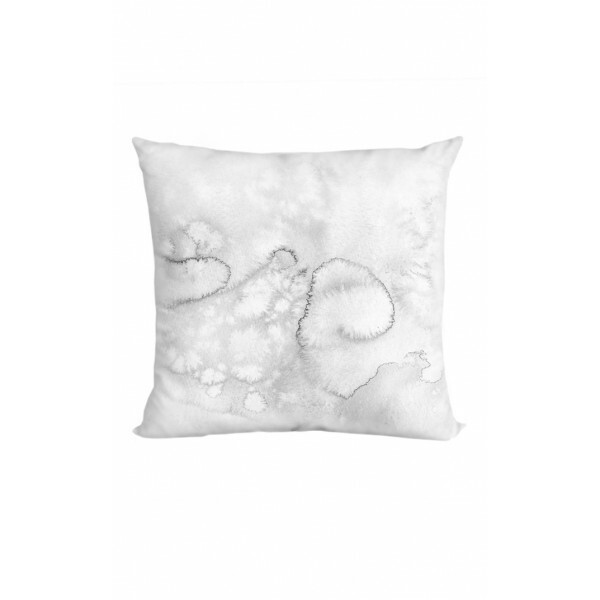 Delicate, gray and abstract pattern on the pillow beautifully harmonizes with bright colors. 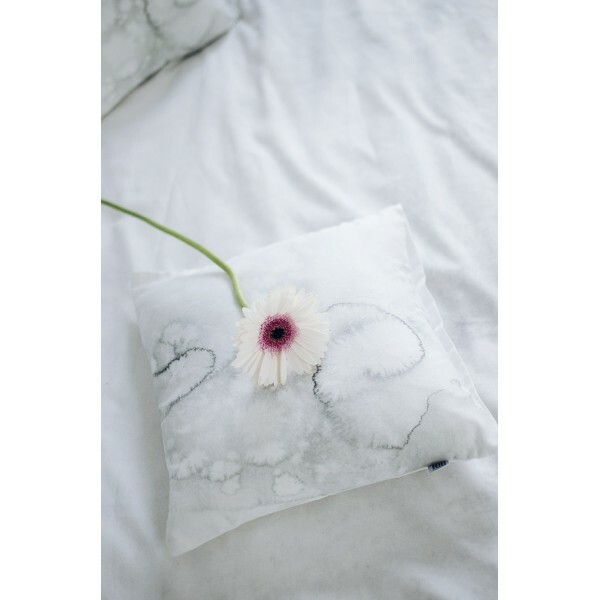 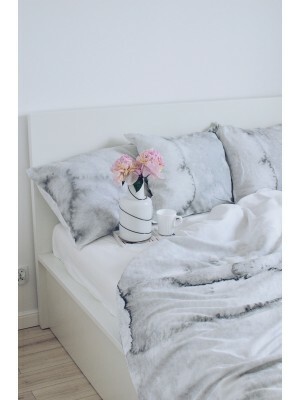 Cotton pillow fits perfectly „Grey story” bedding.